uni-HAM is a Chinese company making paddles and other amateur radio equipment, primarily for the Chinese market. Their designs are well thought-out, materials are well chosen, and performance is equal to equipment costing much more in the western world. The UNI-730 dual paddle is a compact but solid paddle capable of standing up to the rigors of portable operation as well as providing excellent service in the shack. 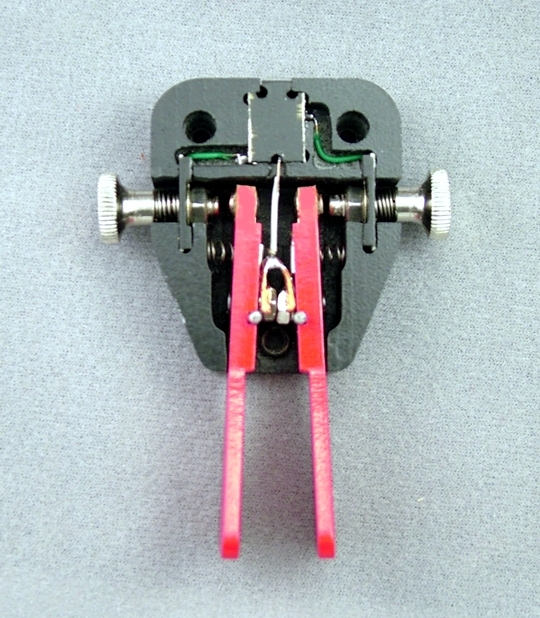 The base measures 3 inches by 2-1/2 inches, with the levers extending another inch to the front. Despite the small footprint, the UNI-730 weighs just under a pound (15.5 Oz) and it has non-skid pads on the bottom for stability. 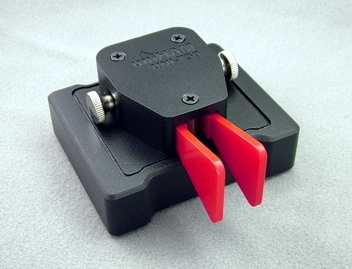 Contact spacing is adjusted easily, without tools, via the large thumb-screws on either side of the paddle body. Spring tension is fixed for a light, precise action. Click here for a photo of the back of the paddle, and here for a photo of the mechanism after removal from the base. 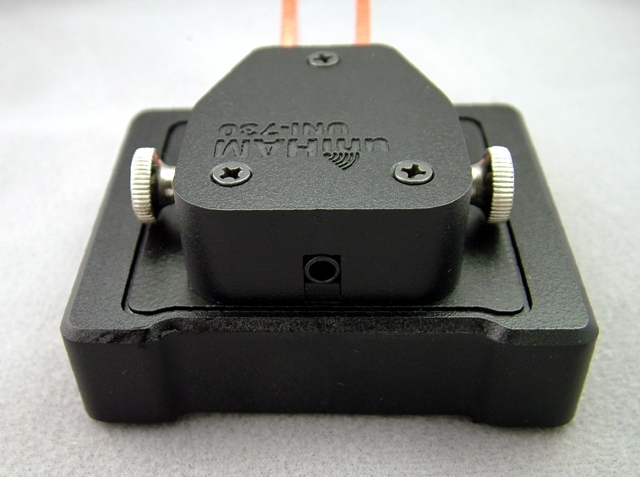 If you are a user of the uniHAM UNI-730 paddle, your comments could be here! Write to us via the link below, and please be sure to say specifically that we can use your comments on the web page.